ePayments, Skrill and NETELLER are electronic payment systems with international licenses and regulation from the FCA (Financial Conduct Authority). Use any method to deposit funds to ePayments, Skrill or NETELLER electronic wallets – bank transfer, bank cards, or even other payment systems. The funds deposited to your RoboForex account via ePayments, Skrill and NETELLER systems are transferred instantly without any commissions. An offer from RoboForex! The Company undertakes to compensate your commission*, which is charged when you deposit funds to or withdraw them from your ePayments, Skrill or NETELLER wallet. Don’t forget to make screenshots of your balance operations, e-mail them to our Live Support to [email protected], and your expenses will be compensated*! Do you experience any difficulties with depositing funds? Open ePayments, Skrill or NETELLER electronic wallet and deposit funds to your RoboForex trading accounts instantly and without any commissions! 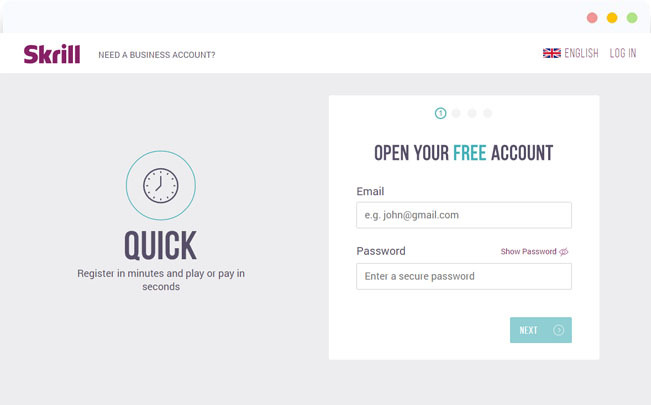 Start the registration procedure by entering your E-mail and creating a password at https://account.skrill.com/signup. Your account will be opened after you fill in all necessary fields of the registration form. Start the registration procedure at https://member.neteller.com/signUp. 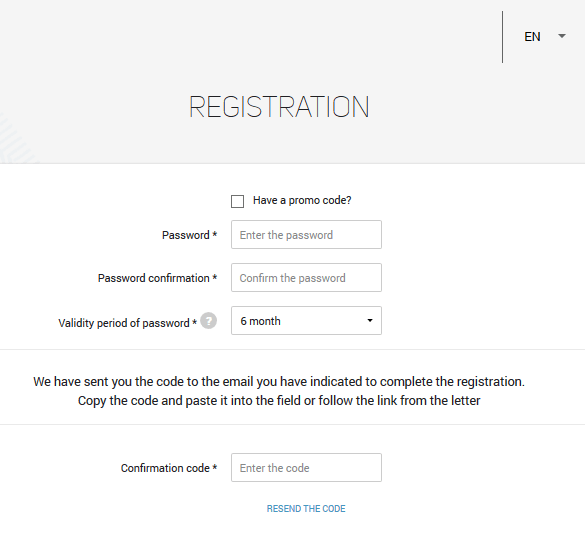 Fill in all necessary fields of the registration form and click "Open account". 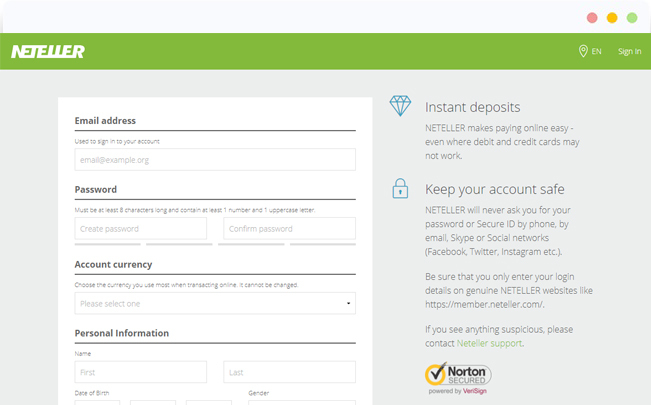 In the window, you will see the NETELLER Secure ID, a 6-digit security code sued for making payments. Copy it somewhere and keep secure. Start the registration procedure at https://my.epayments.com/#/registration. 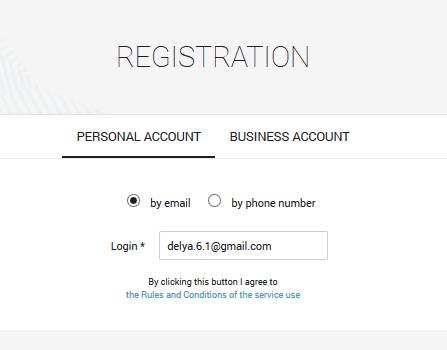 Choose "Personal account" and then enter your E-mail or phone number, depending on what is more convenient for you to use for logging in to the system in the future. Create a password and enter the confirmation code sent to your E-mail or mobile phone. 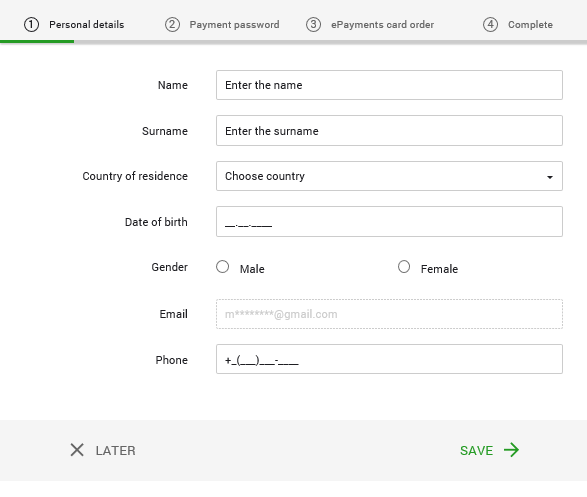 Fill in the fields with personal information. Please note that your name and surname have to be specified exactly the same way they are printed in the document to confirm your identity. Create a payment password or copy it and keep secure, you will need it for making payments in the future. In the next window, you have an opportunity to order an ePayments plastic card. In case you don’t need it, skip this step. 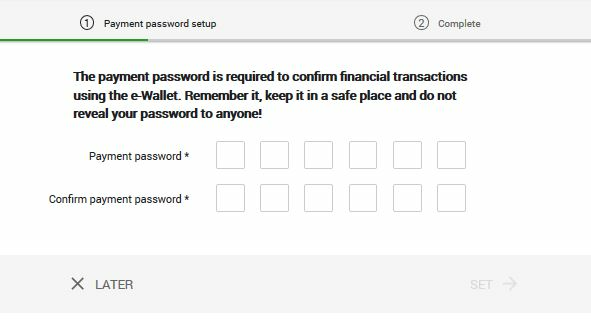 After you complete all the steps described above, your ePayments wallet will be opened. You deposit funds to your ePayments, Skrill or NETELLER (hereinafter called the Payment system) wallet using bank transfer and then deposit them from the wallet in this Payment system to your RoboForex account. You withdraw funds from your RoboForex account to the wallet in the Payment system and then transfer them from the wallet in this Payment system to your bank account. You deposit funds to your wallet in the Payment system using a VISA/MasterCard card and then transfer them from the wallet in this Payment system to your RoboForex account, but only if this card can’t be used for depositing funds straight to RoboForex accounts (methods of depositing funds by means of VISA/MasterCard cards are specified on “Deposit funds” page of your Members Area). You withdraw funds from your RoboForex account to the wallet in the Payment system and then transfer them from the wallet in this Payment system to a VISA/MasterCard card, but only if this card can’t be used for withdrawing funds straight from RoboForex Members Area (methods of withdrawing funds by means of VISA/MasterCard cards are specified on “Withdraw funds” page of your Members Area). The Company compensates the Payment system commission only for the amount of funds, which was actually transferred from the Payment system to RoboForex (in case of depositing) or from RoboForex to the Payment system (in case of withdrawal). To receive the compensation, a client has to provide screenshots or account statements, which show depositing/withdrawal operations through the Payment system using bank transfer or VISA/MasterCard cards. The Company reserves the right to deny the commission compensation in case of excessive use of the offer.